By GreenEyedLillies on April 3rd, 2009 . Filed under: Clothing . 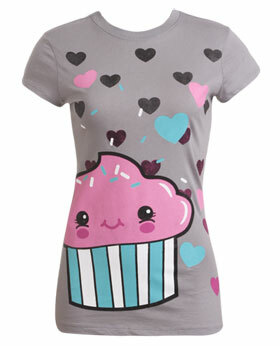 This tee features a screen print of a large cupcake with hearts on the front, crew neck and short sleeves. « Tick-tock: Time for a cupcake!